I have been using Craig at Craig's Computers for all my business and personal Computer requirements for many years. Some of my systems have required special features and Craig has designed and built systems to fulfil my needs. He always provides prompt and efficient service and I have recommended his services to many of my friends and clients. I believe personal recommendation is far more valuable than any form of advertising as you do not recommend any business that you have not had excellent service from. 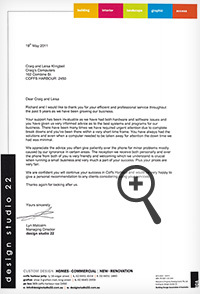 I can confidently recommend the service from Craig and Leisa from Craig's Computers. Some of my systems have required special features and Craig has designed and built systems to fulfil my needs. 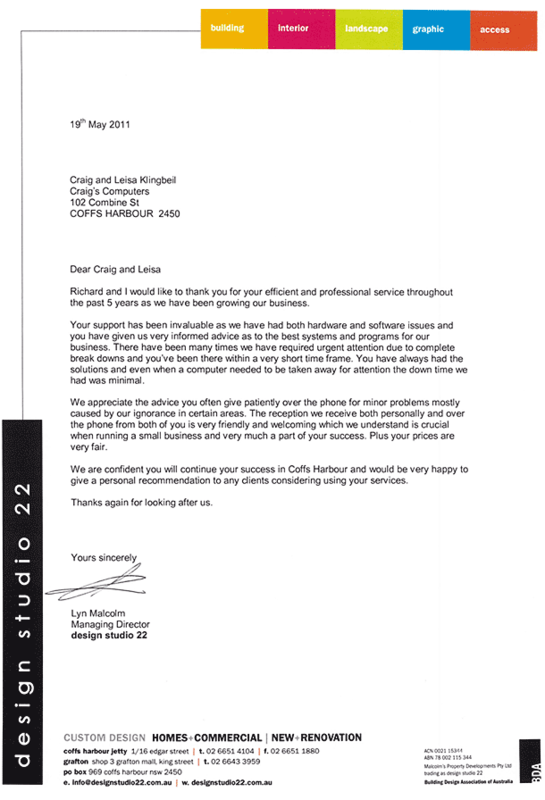 We have used Craig's Computers for many years now in our business and at our home. We have always found their service to be prompt and efficient; nothing is too much trouble for Craig and Leisa. We also ring them frequently for advice and they don't mind at all. We value their great service and friendship. As well as building new computers, Craig's Computers also repair and upgrade existing systems. We can also configure your new tablet or smart phone. Craig uses only reliable, high quality components, so a Craig's Computers system performs without the frustrating conflicts and expensive 'down-time' that results from the use of cheap, inferior parts often included in budget machines.